We recently started getting problem while creating new entity or importing any new entity in one of our CRM Environment. Following is full description of error logged on Server Event Log. The description for Event ID 17415 from source MSCRMAsyncService cannot be found. Either the component that raises this event is not installed on your local computer or the installation is corrupted. You can install or repair the component on the local computer. There is a slow response from SQL which leads to the CRM platform timing out. After carefully debugging and investigating it turns to be SQL Time out issue and the process of creating new entity is taking more than 30 seconds. We added following registry keys to HKLM\Sofware\Microsoft\MSCRM folder and this resolved this problem. 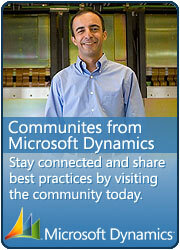 This entry was posted in CRM 4.0, Error and tagged CRM 4.0 on May 24, 2010 by mayankp. It’s Sunday night at 10pm and this COMPLETELY SAVED me! I owe you a pint! Did you need to reboot the CRM server for these changes to take effect? Yes, we have to reboot CRM server to take this effect.